This extra virgin olive oil naturally cold pressed from the picual variety comes from Es Pla, from the mittle of the island. Its smell remembers us about fresh grass and green olives with a note of pepper. 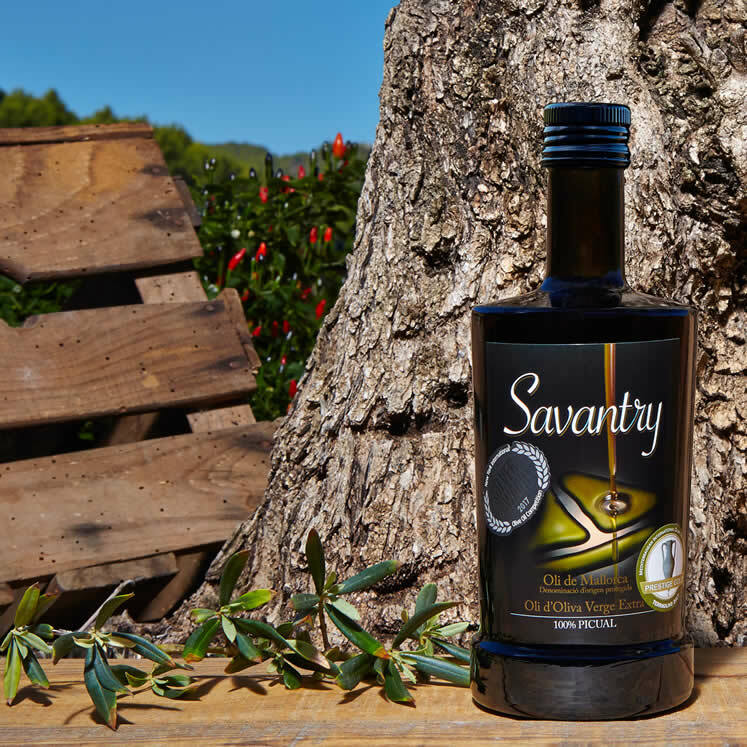 This high quality olive oil is silky-soft in the mouth - this is typical for the picual variety - and surprises the tasters with a little picant and peppery note. In short: it tastes wonderful. The well-designed, round bottle of dark glass protects the olive oil from a light and it can be a great decoration on the table.